With the loss of several marquee players weakening the East, rising talents like Joel Embiid and Kristaps Porzingis could snag their first All-Star Game appearance next season. It’s no secret that the Eastern Conference is more than a step behind the West right now. No East team crossed the 55-win threshold in 2016—three squads out west did just that—and when the playoffs rolled around, nobody could mount a legitimate challenge to the Cavaliers. The situation became even more dire this summer, when three Eastern Conference All-Stars packed their bags and moved across conferences. Superstar wings Jimmy Butler and Paul George were shipped to Minnesota and Oklahoma City, respectively, and four-time All-Star Paul Millsap jettisoned Atlanta in favor of the Mile High City. Add in the rumors of a Carmelo Anthony trade to Houston and the possibility of Kyrie Irving taking his talents away from Cleveland, and the Eastern Conference All-Star team may look like a Junior Varsity lineup compared to their Western counterparts in 2018. Due to that gap in talent, there will be several All-Star nods up for grabs. Here are five Eastern Conference players who could snag their first All-Star Game appearance next season. Many were up in arms last year as the All-Star Game approached and Embiid was nowhere to be found on the Eastern Conference roster. The former No. 3 overall pick mounted an impressive campaign and averaged nearly 20 points and 2.5 blocks per game in the season’s first 41 contests, wowing fans on the court instead of solely on Twitter. Embiid brought Philly fans the first tangible evidence that The Process could actually work, bringing newfound excitement to the Wells Fargo Center unseen since the Allen Iverson era. Embiid’s health is the clear elephant in the room here. He appeared in just 31 games in 2016–17, missing the latter half of the season with a torn meniscus. But an injury-free Embiid could be transcendent. The former Jayhawk is one of the most skilled big men to enter the league this decade, sporting a polished interior game alongside a quality jump-shot. And as Embiid becomes a more reliable three-point shooter, look out. The list of guys who can slow him down will only shrink. After four-straight seasons of less than 30 wins, the 76ers are looking to reverse course this season. They’ll add two No. 1 picks to the floor in Ben Simmons and Markelle Fultz, and the signings of J.J. Redick and Amir Johnson signal that Philly’s time of tanking is over. 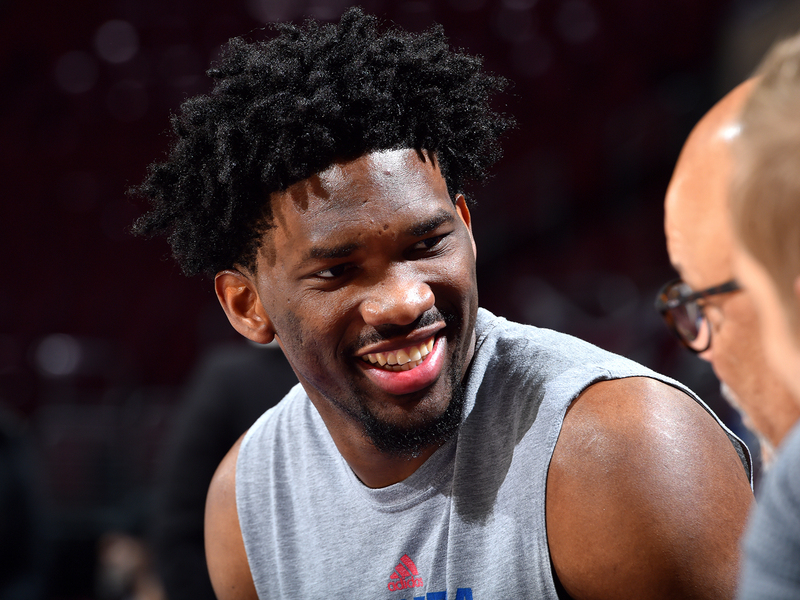 If the 76ers are competing for a playoff spot come Feb. 1, Embiid is all but ensured to be an All-Star. John Wall’s backcourt mate continued his ascension last season, scoring a career-high 23 points per game while shooting 48% from the field. Beal became a bona-fide second option alongside his superstar point guard, shooting it well from deep while evolving into a legitimate threat off the bounce. And while Washington got eliminated in the second round of the playoffs in 2017, it wasn’t because of Beal. He poured in 38 points in a Game 7 loss to Boston, providing what seemed to be the only antidote to Kelly Olynyk’s barrage of midrange jumpers. Have the Wizards Boxed Themselves In? Wall, Beal and $106 million man Otto Porter will be Washington’s core for the foreseeable future, with each player locked up through 2020. And heading into 2017–18, expectations are as high as ever. The Wizards haven’t tallied 50 wins in a season since 1978–79, but another standout year from Beal may end the drought and send him to his first ever All-Star Game. With Porzingis now firmly in the Knicks’ future plans, the next step is for him to take the reins as New York’s primary offensive threat. If Anthony’s time in the Big Apple ends before opening night, the spotlight will be thrust onto the 22-year-old. 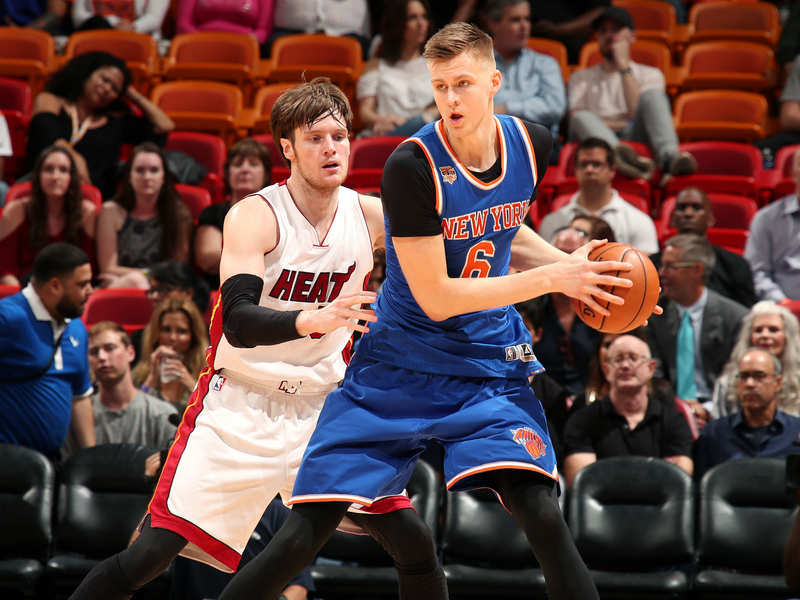 So will Porzingis be able to shoulder the offensive load? His career trajectory certainly points that way. The Unicorn increased his production in nearly every offensive category last year, seeing an uptick in points per game, three-point percentage, and offensive win shares. Throw in an abandonment of the triangle in favor of a more up-tempo attack, and Porzingis could see his numbers skyrocket in 2017–18. Even in a diluted East, there’s little chance MSG keeps its lights on for basketball post-April. There simply won’t be enough talent on the floor each night assuming Anthony is gone before the season. But for Porzingis, the sky’s the limit, and continued development could land him the first All-Star game appearance of his career. It’s easy to forget how good Middleton was at the end of the 2015–16 season. The former second-round pick had the best year of his career in 79 appearances, averaging over 18 points per game. And before Giannis Antetokounmpo evolved his offensive game to match his astounding measurables, it was Middleton who Milwaukee looked to at the end of games and late in the shot clock. Middleton missed most of the 2016–17 season after undergoing surgery for a torn hamstring in September, but quickly shook off the rust in 29 games to close out the year. His production dipped and he averaged three less field goal attempts per game compared to 2015–16, but he did make strides beyond the arc. The five-year veteran shot 43% from three-point land last season, serving as a perfect outlet when teams crowded the lane against The Greek Freak. It’s imperative for Milwaukee that Middleton takes an increased offensive role this year. Jabari Parker suffered a torn ACL midway through last season, and isn’t expected to return to the team until around the All-Star break. With Parker out, Middleton’s presence as a floor spacer will be vital. The Bucks ranked 22nd in three-pointers made last year. Giannis will be the Bucks’ headliner in 2017–18, a budding star with MVP contention certainly in his future. However, he can’t will Milwaukee to the playoffs alone. Middleton will be an X-factor in the Bucks’ push for the playoffs, and a candidate for the All-Star Game if Milwaukee has a hot start to the season. After being out of the NBA from 2012–14, Whiteside has emerged as the Eastern Conference’s version of DeAndre Jordan over the past three seasons. The 28-year-old center is a presence to be reckoned with near the rim on both sides of the floor, a punishing dunker and rebounder on the offensive end, and one of the league’s premier shot blockers on the other. He lacks the polish that Karl Anthony-Towns or Anthony Davis possess, but few impose their will at the tin quite like Whiteside. After a 2016–17 campaign in which he led the league in rebounding and scored 17 points per game, it’s time he gets his due. One reason Whiteside was overlooked last year was Miami’s putrid record in the first half of the season. The Heat went 11–30 over the season’s first 41 games, and seriously considered tanking to the depths of the lottery. But a miraculous 30–11 stretch to end the year led by Whiteside, Goran Dragic and heat-check king Dion Waiters nearly vaulted Miami to the playoffs, bringing newfound confidence to South Beach. Erik Spoelstra and Co. believe this year’s group will play like the team that emerged at the second half of last season, and a playoff spot is well within reach. So is a first-time All-Star selection for Whiteside.